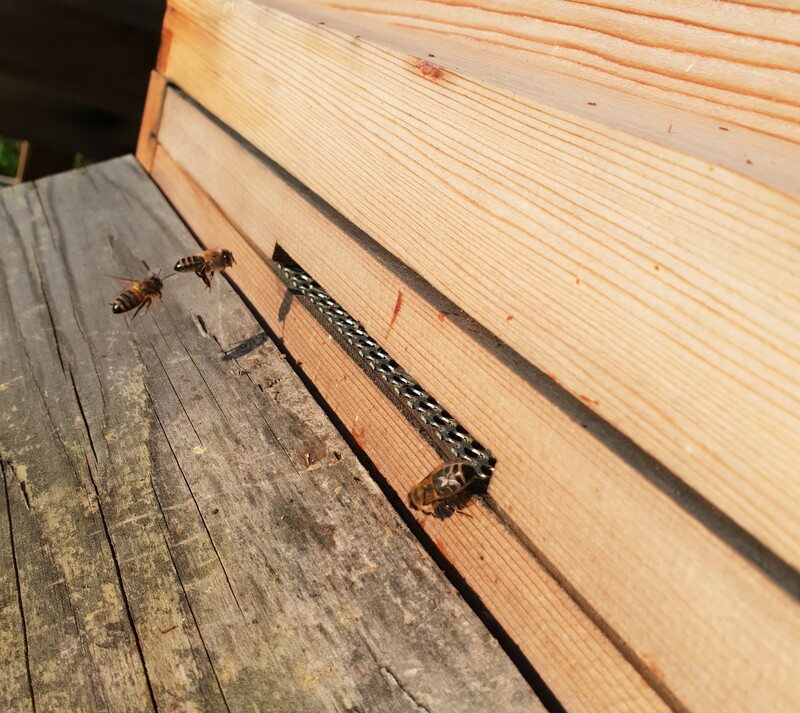 The bees at Mythe Farm had a very busy season last summer and became two colonies from just one before. With so many bees, this meant they needed to move a bit further along the hedge to avoid John the gardener obstructing their flight path and getting stung (again). They say you should move bees no more than 3 metres or more than 3 miles, unless they are going to be kept in by the cold for a long period. So, we went for a move of 10 metres to avoid risking all the bees getting confused and not being able to find their way home if the weather warmed up. Thankfully, the weather forecast was correct and a cold snap followed the move which meant the bees stayed inside for 10 days or so. After some hesitation and most of the bees returning to the fence post where the hives were before (and John getting stung again!) the bees decided to go back to their queens just a few metres up the hedge and settle into their homes again. The bees have been very busy the last few days in the unexpected warm weather, though they have had some extra bee food just in case we’ve not had the last cold spell yet. Hopefully that’s the last of the stings for John!